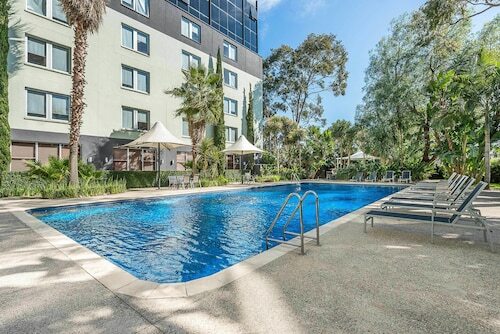 Situated near the airport, this hotel is within 12 mi (20 km) of Moonee Valley Racecourse, Flemington Racecourse, and La Trobe University. 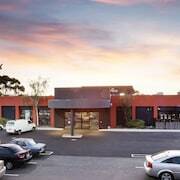 Highpoint Shopping Centre and Royal Melbourne Showgrounds are also within 12 mi (20 km). Gowrie Station is 11 minutes by foot. 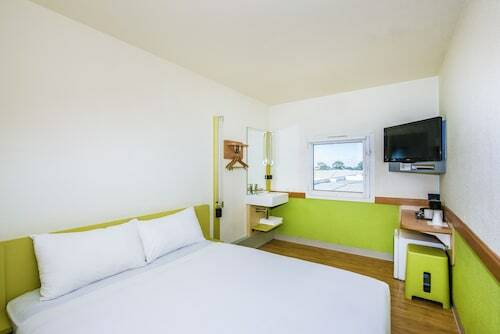 Situated near the airport, this hotel is within 9 mi (15 km) of DFO Essendon, Broadmeadows Park, and Progress Reserve. Moonee Valley Racecourse and Overnewton Castle are also within 9 mi (15 km). 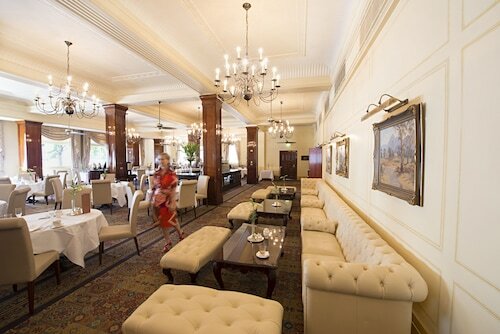 Set against one side of Fitzroy Gardens and next to Treasury Gardens, this gracious hotel offers easy access to the upscale shopping of Collins Street's ‘Paris end', approximately 0.5 km from here. For years, Melbourne has been considered the best place to call home in the world—that’s according to pretty much everyone. All right, the official designation is “most liveable city”, and it was given by the Economist Intelligence Unit, but that doesn’t sound as cool. Anyway, from the unbeatable views of Port Phillip Bay to boutique-lined streets and gourmet eats, it’s always a great place to be. 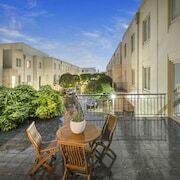 We know, we know: You’re looking for places to stay in Melbourne while you’re on holiday, not hunting for a new home. But take a few cues from the locals and plan your trip around quirky neighbourhoods, nonstop nightlife and some of the country’s most important history. In short, forget that other “Harbour City” (or make it a side trip with our Sydney accommodation). Let Victoria’s “City by the Bay” be the main event. We promise it won’t let you down. Australia’s second-largest city is no slacker when it comes to world-class entertainment and nightlife, but it wasn’t always Party Central. Here’s one law left over from the city’s less-cool days: It’s illegal to sing an obscene song within earshot of another person. Luckily, it’s not enforced, so feel free to join in with that guy who keeps on belting out "Here's to Duncan, he's true blue!" on the walk back to your accommodation in Melbourne. What about late-night eats? Munchie options expanded in the 1960s, when Melbourne got its first pizza place. Melbourne’s 3000 post code is home to 67 pubs, so you’ll definitely have plenty of options. If you’re more into clubs, make sure you learn the Melbourne Shuffle. Don’t ask, just google it. Australian Rules Football was invented here in 1858. Melbourne was the first Australian city to host an Olympic Games, in 1956. 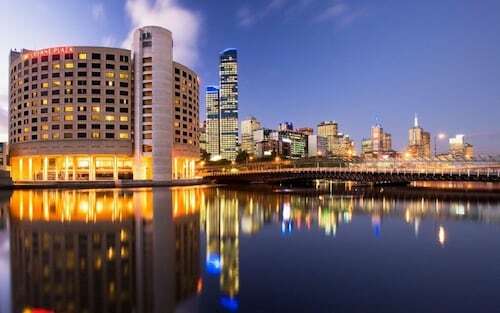 The Melbourne CBD is the only one in the world with five international standard sporting facilities in the immediate area: Melbourne Cricket Ground, Docklands Stadium, Rod Laver Arena, Hisense Arena and Olympic Park. You’ve gotta explore at least one! Two Australians played swingball in Melbourne’s Federation Square for seven and a half hours, setting the world record. 91,092 spectators watched the 2013 Ashes test cricket match against England. The St. Kilda Festival in February is about as Melbourne as it gets. Locals dance, hang out on the beach and enjoy concerts right on the sand—because, summer. Since 1955, Australians have gathered in Melbourne for Moomba in the second week of March, lighting fireworks, building floats and enjoying all kinds of merry-making to celebrate the Yarra River. It’s a pretty big deal. The Australian Football League season runs from March through September, and with ten teams in town, there’s always something on. For an all-out, super-fancy, royalty-worthy night, check out the Princess Theatre, the “grand old dame” of theatres—that’s a compliment. For an equally royal time, Her Majesty’s Theatre hosts shows that are even more popular than Kate Middleton (sorry, we mean “Catherine, Duchess of Cambridge”). Looking to get a little weird? Go off the grid in North Melbourne, where the Arts House and the Meat Market Theatre put on shows that can be described with words like “daring”, “ghastly” and “fantastical”. You’re probably getting the idea: Whatever floats your boat, you’ll find it in Melbourne. The question isn’t whether to visit Australia’s “Second City”, it’s when. And also, where to stay! Read on. 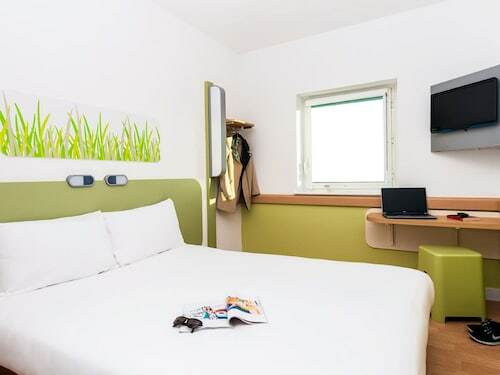 If your flight arrives just in time for a good night’s sleep, book Melbourne accommodation near the airport and rest easy! You can’t get much closer than ParkRoyal Melbourne Airport —it’s literally right next to the terminals. 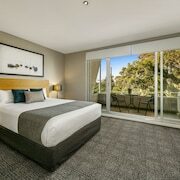 A 2-minute walk will have you relaxing with a view of the Macedon Ranges or the city skyline, drifting off to dreamland and waking up to complimentary breakfast. Free food is definitely an awesome way to start the day, and once you’ve got a full tummy, you get to take to the sky…the SkyBus, that is. This airport express bus will drop you at Southern Cross Station, where you can hook up with the tram and get just about anywhere. Is it all about the scenery for you? 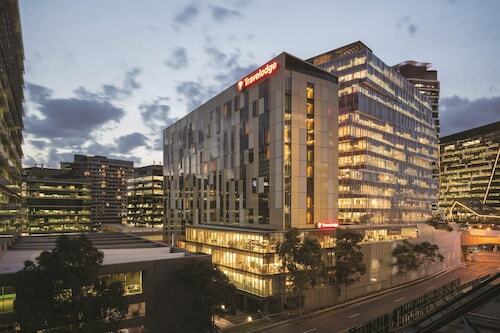 Hilton Melbourne South Wharf has 396 rooms, and they all have a view. City, river or bay? You decide. Whether you’re here to get down to business at Melbourne Convention & Exhibition Centre or shop till you drop at the DFO South Wharf Outlets, you’ll be waking up to selfie-worthy scenery every day. Better warn your social media followers. And hey, you don’t have to see that beautiful sunrise if you don’t want to. Those blackout curtains will come in handy after a night out in nearby Collingwood or Fitzroy. In Collingwood, sample craft cocktails to a soundtrack of live music. It’s both artsy and a little bit hipster, in a good way. Next-door neighbour Fitzroy has its fair share of tasty libations, too. Your bartender’s tattoo sleeves might be as colourful as the original drinks they pour, which we say adds character. 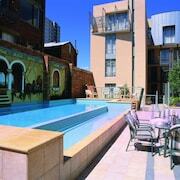 If you’re more of a centre-of-it-all kind of traveller, you need a hotel like Citadines on Bourke Melbourne. Walk over to Cook’s Cottage to learn the story of this “gift” to the people of Victoria—the English country house of James Cook’s parents was moved, brick by brick, in 1934. That’s what we call a present! For a “spook”-tacular good time, take a night tour of Old Melbourne Gaol. Many of Australia’s notorious criminals were executed here, including Ned Kelly, the most famous—or infamous—bushranger of them all. If that kind of claim to fame is your thing, then you’ve found your match. Feeling a bit Kentish? We’re not insulting you. Fitzroy Gardens is home to a model Tudor village in the style of Kent County, England. You’ll feel like a giant walking through these tiny thatched buildings—and you’ll be glad this isn’t the size of hotels in Melbourne! There is more fun where that comes from, so do the Melbourne Shuffle over to Wotif. 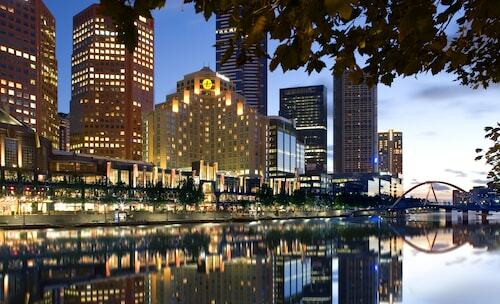 We’ve got sweet Melbourne hotel deals that will save you tons of dollarydoos. You’re gonna need them for pints, team gear and theatre excursions, so you’ll thank us later. 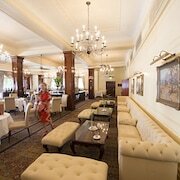 Need insider tips on must-see attractions in Melbourne? Check out our Melbourne travel guide! 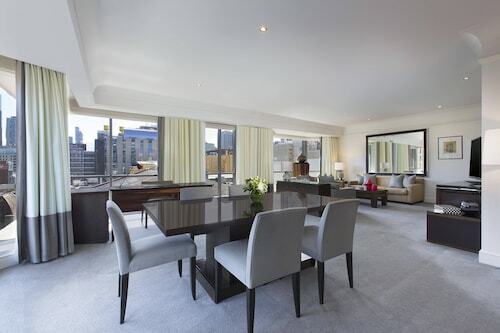 How Much is a Hotel Room in Melbourne? 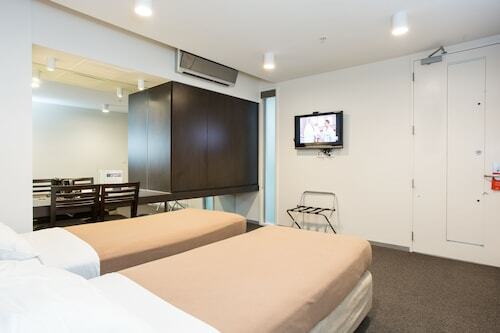 Hotels in Melbourne start at AU$58 per night. Prices and availability subject to change. Additional terms may apply. Was upgrated to the manta next door free of charge and was extremely happy with my stay.